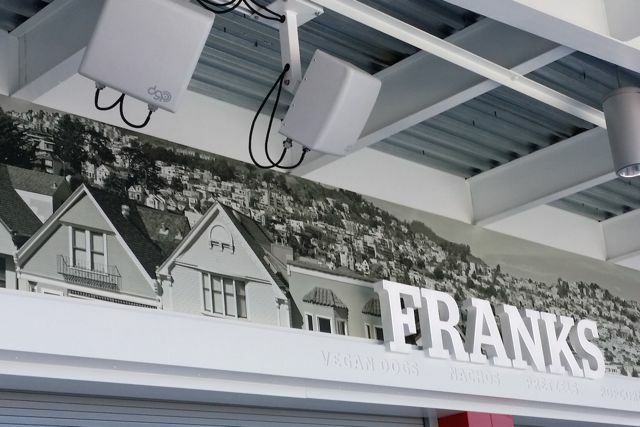 If you look around at the walls, ceilings and overhangs at Levi’s Stadium, it’s hard to miss the small square boxes with the off-white color and a “DGP” logo in one corner. While the wires hanging out the back of each box make it an easy guess that the equipment has something to do with wireless networks, even many industry insiders may not know the company behind the boxes and the three-letter acronym. Meet DAS Group Professionals, the Bay Area firm in charge of deploying a distributed antenna system (DAS) to make sure your cell phone gets a good signal at San Francisco 49ers games and any other event inside the 68,500-seat Levi’s Stadium. 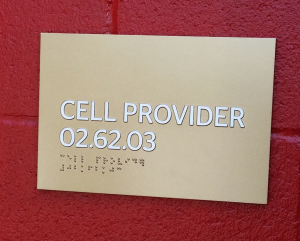 And while you might not be familiar with DGP, rest assured the company is extremely familiar with cellular deployments for large public venues, having installed similar DAS networks for airports, casinos and hotels, and even for San Francisco’s BART train system. Of course, most of that work was done when the company was called Forza Telecom, before changing its name to DGP earlier this year, another reason why “DGP” may not have rung any bells. One thing that keeps firms like DGP in the shadows is the relative obscurity of DAS itself. While most people generally understand how cell phones work — you turn on your phone, and it connects to an antenna somewhere on a tower or rooftop — in crowded public facilities like stadiums, traditional cellular networks with towers several miles apart can’t handle the concentrated capacity. To provide connectivity for areas with large crowds, the latest tactic is to deploy a DAS, a network of lots of smaller antennas. Originally deployed in places like office buildings, hotels and convention centers, DAS is rapidly gaining favor in stadiums and arenas, helping to alleviate the “no signal” problem that has cropped up in many venues the past few years. And while stadium Wi-Fi gets lots of headlines whenever it gets deployed — probably thanks again to the widespread understanding of how Wi-Fi works — there are already far more DAS deployments in stadiums than Wi-Fi, mainly because cellular carriers will pay almost all the associated costs of a DAS buildout to make sure their customers get a signal. According to our most recent 2014 State of the Stadium survey, 71.4 percent of our respondents said they had a full DAS at their facility, while only 35.7 percent had fan-facing Wi-Fi. How does a DAS work? Usually, either a major cellular carrier or a third-party “neutral” host like DGP will build out the antenna infrastructure, which includes many small antennas and then cables to bring the connections back to a wiring room or data center. 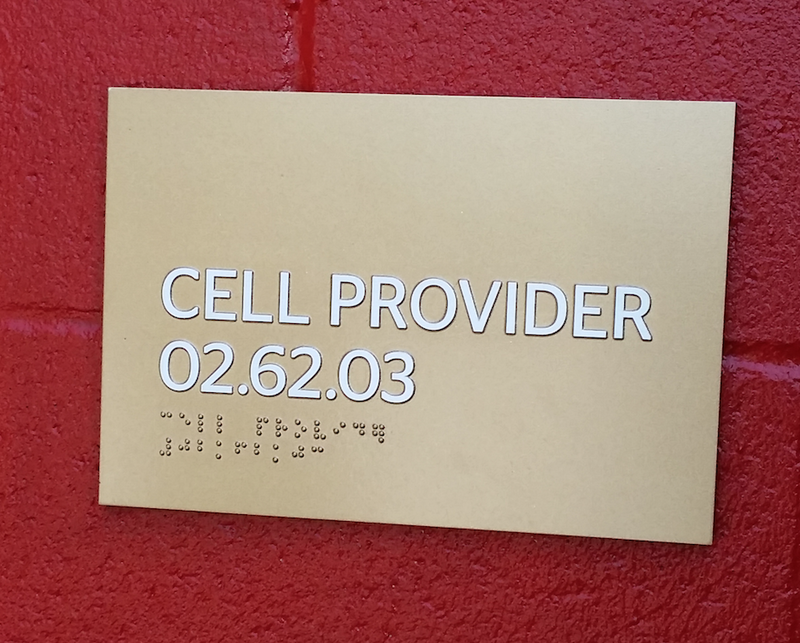 There, cellular carriers install their own cell-tower back-end gear to authenticate customers and to provide a connection to the company networks and the Internet. Since it’s in the cellular carriers’ interest to keep their customers connected (and using billable minutes and data), carriers will often pay the full cost of a DAS infrastructure by building and running it themselves. In the case like Levi’s, where DGP is the “neutral host,” DGP builds the infrastructure and then charges cellular carriers to use it. Such deals are rarely publicized, and Dutto would not comment on how much each carrier was being charged to use the Levi’s DAS — though industry gossip has the figure somewhere around $5 million per carrier per year. And just like fight club, for many deployments the first rule of DAS is that you don’t talk about DAS, because no cellular carrier ever wants to admit that its network might need help. So just like Rodney Dangerfield, DAS often doesn’t get a lot of public respect. But at Levi’s Stadium and many other sports and entertainment venues, DAS is a booming business that would be sorely missed if it wasn’t there. Now that DGP’s 700-plus antenna DAS deployment is up and running at Levi’s, Dutto can breathe a small bit easier. 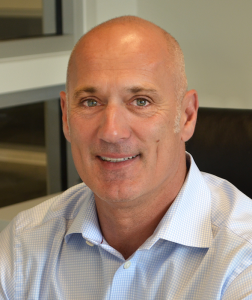 While the network is good business for the company and an obvious prominent calling card for the future, the aggressive deployment timeframe probably isn’t something Dutto is eager to repeat. The success of the Candlestick deployment, Dutto said, led to the Niners offering the Levi’s DAS gig to DGP. With it, however, came the need to match the team’s out-front statements about how the stadium was going to be the best ever in terms of wireless connectivity. 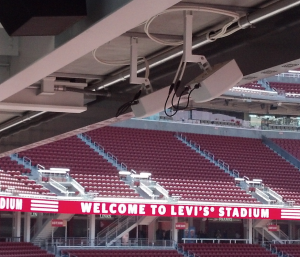 And with many people not knowing or not bothering to switch their phones to Wi-Fi, the Levi’s DAS, like most stadium DAS deployments, would probably handle most of the wireless connections. “We knew that it needed to be significantly better than anywhere else, right at the launch,” Dutto said. While the late addition of an early August soccer game at Levi’s pushed deployment schedules ahead even faster, Dutto said in the end it helped DGP overall. After the “daily and nightly” discussions with the Niners’ tech team about antenna placements and other matters, the DAS network performed well when it mattered, during the Niners’ two preseason games on Aug. 17 and 24. According to a traffic report from the stadium tech team, the DAS network carried a combined 1.02 terabytes of wireless traffic for the two preseason games, which is on par with activity seen at big events in the past, like Super Bowls. According to Dutto DGP’s internal tests showed that few, if any, calls were dropped or didn’t connect. “We’re at 98 percent [network performance] already, without [the network] being fully optimized,” Dutto said. While many of the stadium’s Wi-Fi antennas are well hidden — including the ones in boxes under seats — the DAS antennas are a bit more prominent, especially if you are near where the first overhang comes close to the seats. And in many cases there isn’t just one but instead two DGP antennas side by side, which reflects the company’s decision to actually build two parallel DAS systems to better accomodate more wireless carriers. According to Dutto, AT&T and T-Mobile are based on one system, while Verizon Wireless, Sprint and public safety communications are handled by the other one. Currently, all the carriers are live on the DAS except for Sprint, which is still in the process of installing its back-end equipment. One of the biggest challenges for DGP, Dutto said, comes from outside the stadium, and not inside. Like other open-air stadiums located in city cores, Levi’s Stadium faces significant interference from cellular antennas on nearby office building rooftops, as well as from the Santa Clara Convention Center right across the street. “Less than a half mile from Levi’s you can see seven different rooftop cell sites,” said Dutto, who said the flat, open terrain around the stadium increases the ability for those signals to interfere with the stadium DAS deployment. 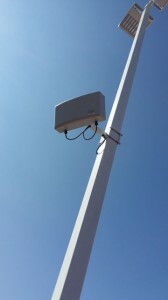 Target Field in Minneapolis had some similar problems with cell antennas on nearby office buildings. And while Levi’s Wi-Fi network has shown itself to be incredibly robust, Dutto said that cellular connectivity over the DAS might be even faster than Wi-Fi in many instances, especially if fans have later-model phones with 4G LTE. Even though Dutto said DGP’s testing recorded download speeds of up to 200 Mbps — and 65 Mbps sustained — he acknowledged that many Levi’s patrons might never see those kinds of numbers unless they snap up some of the new iPhone 6 models introduced by Apple this week. According to network stats collected by DGP during the preseason games, a lot of fans may be ready for an upgrade. “There’s a lot more iPhone 4 users out there than we thought,” Dutto said.